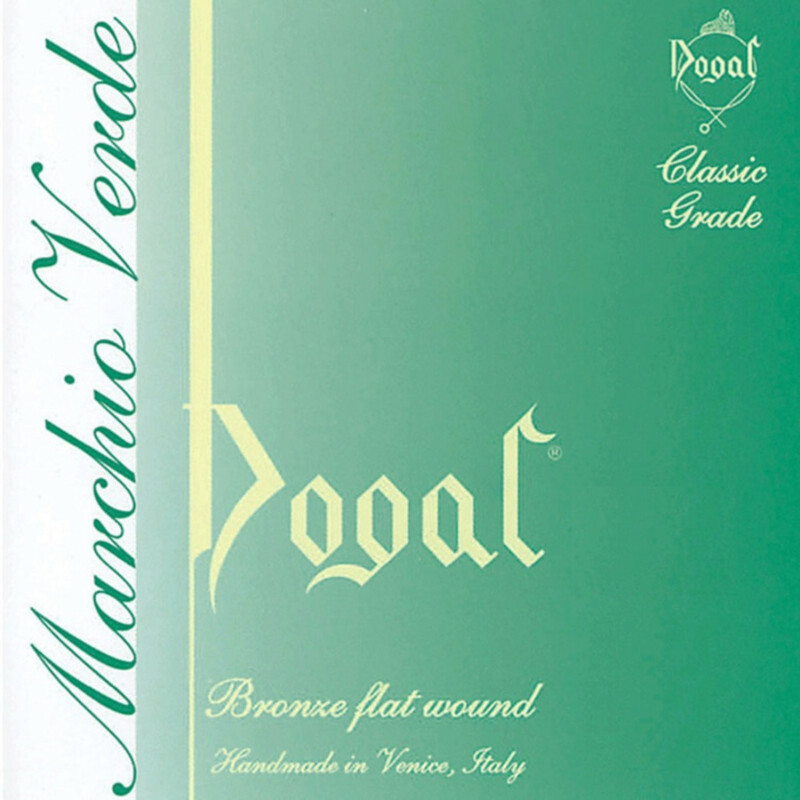 Dogal Green Label Violin E String for 1/2 size and 1/4 size violins offer beginner and student players a fantastic sounding and authentic feeling E string. Dogal strings have been designed to feel as realistic to gut equivalents as possible and with the brass alloy, the Green Label string gives a warmer and more mellow tone. The Italian string group Dogal was founded in 1950, making homemade strings for musical instruments. Since then, Dogal has become a reputable brand, recommended by teachers, schools and players alike. Green Label strings are desgined to have a very similar tension to gut strings, even though they have been made from steel. This has been done through a high percentage of carbon mixed in to the steel compound, and 50 years on, the same formula is being used. From there a brass alloys is combined to give a warmer and more lush sound, which is more suited to beginners starting out on the instrument.